Boil and marinate the soy cutlets the night before: boil the cutlets in salty water for about 5 minutes, drain, rinse with cold water and squeeze out the water from every cutlet. 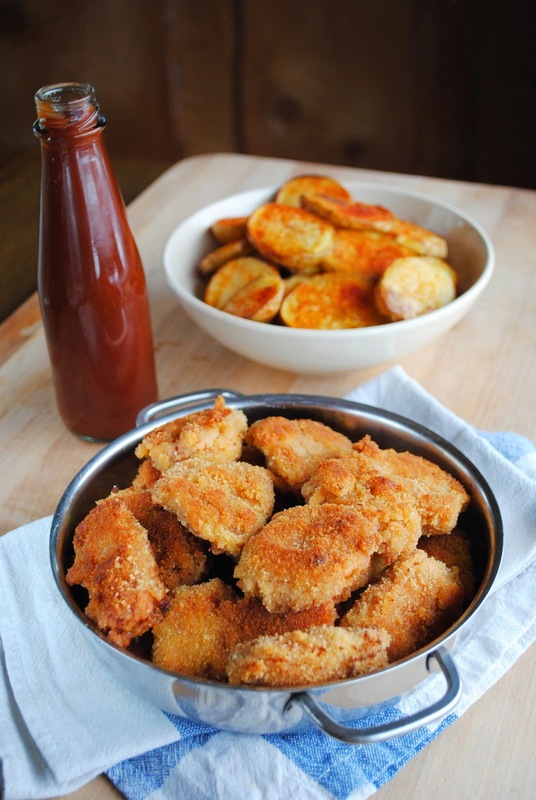 Take a bowl, pour a fair amount of the BBQ-sauce on the cutlets and mix with hands and rub the BBQ-sauce into the cutlets. Cover the bowl with a plate or a cooking sheet and put the cutlets in the fridge for the night. On the next day take two bowls. Pour some breadcrumbs into one bowl and in the other one mix some tempura flour with a little bit of cold water until you get a half-thick mixture. 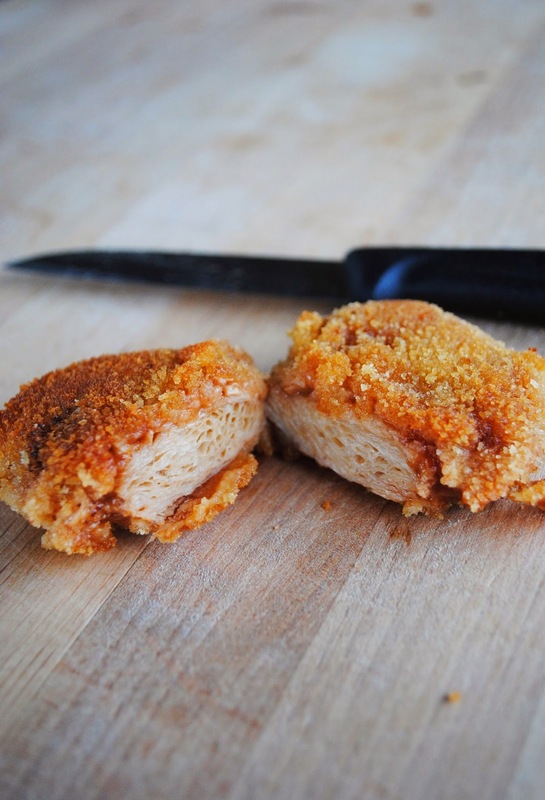 Take the marinated soy cutlet and first dip it in the tempura-water mix and then roll it around in breadcrumbs. 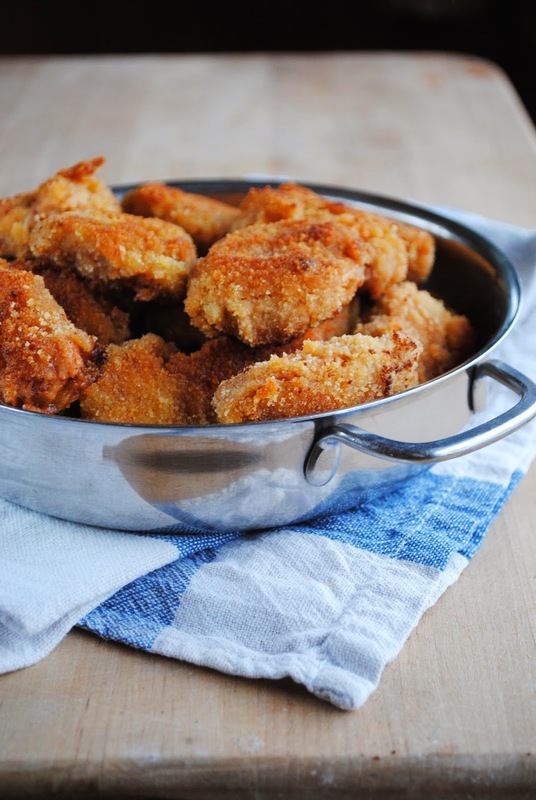 Pour some oil on a hot pan and fry the breaded nuggets until crispy on both sides. Serve with baked potatoes, fresh salad and BBQ-sauce or make a burger or a sandwich.